Mix all ingredients together and put in a large bread loaf pan or you can do two small pans. I used one large one. Bake at 350 degrees for one hour or until no longer pink in the middle. Remove from the oven and let rest for about 10 minutes. Slice and eat! If you like coconut and you like candy - these little treats are the best! These are GAPS friendly and are actually good for you. You can add a variety of dried fruit, nuts, seeds, spices, or different extracts to give them a variety in taste. Have you tried other no-bake treats? Steph's Energy Bites, or Amee's Date Balls I store these in the freezer. When I want one I take out and let sit for just a couple of minutes and devour. Mix coconut butter, honey, and vanilla until creamy. Add in your raisins. Use your hand or a small scoop to form 1 inch balls. Place the ball on a glass baking dish or a cookie sheet covered with parchment paper. Press down to flatten the bottom. Repeat with each one. Place the baking dish in the refrigerator to chill for at least 30 minutes to allow candies to harden. Once chilled put the into a air-tight container and store in the refrigerator or freezer. YES!! you Can make your own coconut butter. Homemade Coconut Butter: Take your shredded coconut and simply blended it in your blender for about 3-5 minutes. (Note: If you use a food processor, blend for 10-ish minutes.) That's all there is to it! Side note: Depending on where you live--and the temperature/altitude--you might have trouble with this recipe. It works perfectly for me, just a little patience. Coconut butter is very temperamental and reacts oddly in different climates. So please know before trying that there's a chance this recipe might not work for you. Also, if it refuses to turn to butter for you, it might be worth a shot to add some coconut oil to the blender... sometimes that fixes things right up! These instructions are provided by Chocolate Covered Kate's Blog. She has a FAQ page to guide you along. The world according to pumpkin facts over one billion pounds of pumpkin are produced each year in the US. Scientifically speaking, pumpkins are a fruit (they contain seeds) but when it comes to cooking, they are often referred to as vegetables. 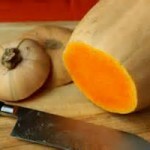 Pumpkins are low in calories, 100 grams of pumpkin produces around 26 calories of energy. Thanksgiving is a time that I pull out all my favorite pumpkin recipes. Pumpkins were an important food source for the pilgrims, as they stored well, which meant they would have a nutritious food source during the winter months. It is documented that pumpkins were served at the second Thanksgiving celebration. When mentally picturing an early Thanksgiving, we usually think of a Pilgrim woman in a bleached starched white apron holding a pumpkin pie with a perfectly fluted crust . The truth is in fact, quite the opposite. The Pilgrims cut the top off of a pumpkin, scooped the seeds out, and filled the cavity with cream, honey, eggs and spices. They placed the top back on and carefully buried it in the hot ashes of a cooking fire. When finished cooking, they lifted this blackened item from the earth with no pastry shell whatsoever. They scooped the contents out along with the cooked flesh of the shell like a custard. Yumm! The Pilgrims were also known to make pumpkin beer. They fermented a combination of persimmons, hops, maple sugar and pumpkin to make this early colonial brew. I did not make pie or beer but I did create a pumpkin pancake that the kids loved! The best part is they are grain free and nut free. Double bonus! Yields about 8 - 10 3" pancakes. combine your eggs, pumpkin, and honey in a food processor. slowly add in your dry ingredients. You want the batter drippy enough that it comes off the spoon easily, and spreads out in your pan. If you get it to dry - add a little bit of water to thin it out. Fry up in your pan - be cautious when flipping. These were delicious with a serving of honey or maple syrup on top. Love Love my Homemade Bars. Love Joyce's Bar's too- there truly is no wrong way to can make these little delights. Place the dates into your food processor. Pulse until chopped. Then add your cashews, vanilla, and nuts. Pulse til almost a gooey mixture. Then add your coconut flakes - pulse a few more times. Make a big ball out of your bar mixture and push it down between wax paper.. roll out the mixture to your desired thickness. I like mine about 1/2 an inch thick or a little less. Cut the rolled out mixture into the desired shape and amount that you would like. I did not make mine as big as the store bought Lara Bars because they are often too big for my kids and making them into small approximately 2 inch squares seems to be perfect for us! I am always looking for a change up when it has to do with chicken. BBQ Chicken is by far a staple in our house. Place all in your Ziplock Bag - Seal Tight and lie flat in your fridge for about 4 hours or over night. You can double the recipe and save half for a sauce after you have cooked your meat. You would slowly cook half the marinade in a small pot until it reduces down and thickens up...pour over your chicken. It seems that I gravitate towards some veggies more than others and this time of year we are getting large bags of Brussels sprouts in our Bountiful Basket. If you grew up hating Brussels Sprouts this is a sure bet it will change your mind. My theory is that by slicing them thin and then of course adding bacon to anything it will be a hit! Place the bacon in a large, deep skillet, and cook over medium-high heat, stirring occasionally, until evenly browned, but not crispy, about 10 minutes. Remove the bacon with a slotted spoon, leaving the grease in the skillet. Pour off all but 2 tablespoons of the bacon grease. Cook in your thinly sliced brussel sprouts. Season with salt and pepper. Cook and stir until it softens, 5 to 7 minutes. Add in your apple cook another 2 minutes. Add your bacon back in and warm through. Serve with a side of your favorite meat or bowl of soup. Super Easy and this dish holds well for leftovers. I don't eat mayonnaise - never have really. I go dry. As I got older I started using more spicy style mustard. I hate it when I am doing laundry and I try so hard not to totally dry my sorta nice work-out clothing, the dry wick kind....just to find out as I am folding my clothes that I totally baked my work-out clothes. I guess that is why I never buy nice clothing - cause I will totally ruin it. This idea is great when you have left over chicken in the fridge and it is starting to dry up on you. Okay maybe your chicken isn't dry but I always over cook my chicken. 2 tablespoons of mustard preferably a Dijon type. Mix your salad fix- ins into a bowl. Prepare your dressing by adding in your avocado, mustard, olive oil and a tablespoon of water into your blender. Puree until smooth adding in more water as needed. Pour over your salad along with your spices and stir together. Chill for about 15-20 minutes. 1 Pulse your nuts a few times before adding in your basil and spinach. Combine the basil and spinach leaves in with the nuts, pulse a few times in a food processor. Add the garlic and pulse a few times more. 2 Slowly add the olive oil in a constant stream while the food processor is on. Stop to scrape down the sides of the food processor with a rubber spatula. Add in your lemon juice, a pinch of salt and freshly ground black pepper to taste.